A new report citing a person familiar with the matter has revealed that Apple’s upcoming iPhone 6, which is set to launch at an event on 9th September, could function as a ‘mobile wallet’ and allow users to make mobile payments securely in physical stores. According to Bloomberg, the Cupertino, California tech giant plans to add this quick and convenient payment method to its upcoming iPhone through partnership with banks and retailers, and deals with Visa, MasterCard and American Express. The payment plans will apparently be disclosed at the launch event, along with the much anticipated iPhone 6. The report also states that the mobile wallet function on new iPhone will be based on a near-field communication (NFC) chip, like those found in contactless bank cards and Oyster travel cards, and this will be the first time the technology has ever been included in the company’s smart devices. With NFC, the device will function in a similar fashion to a contactless payment card, which currently allows owners to carry out low-value transactions without having to enter their PIN. It will have another layer of security thanks to its combination with Apple’s Touch ID fingerprint scanner. To sum it up, the new function will allow users to complete transaction in selected stores “with the touch of a finger”, the report claims. 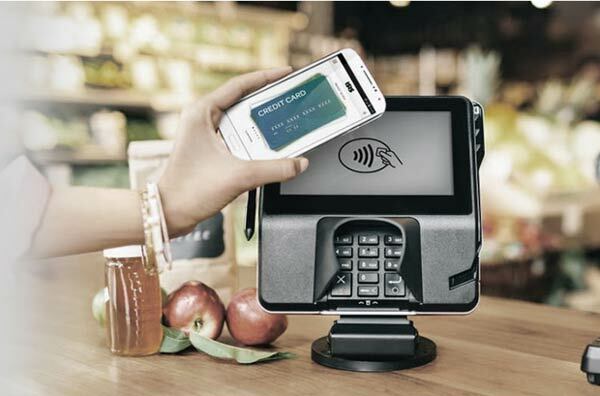 Whilst this is not the first time a leading tech company has invested in using smartphones to make payments in physical stores, it seems that the market has yet to eagerly jump on-board to achieve the critical mass necessary to really take off, with many still lacking point-of-sale systems that can take NFC payments. However, analysts predict that adding mobile payment capabilities to Apple iPhones could be a boost to the ecosystem, with Apple already having more than 800 million iTunes customers with card details logged in Apple’s payments system. If these customers can be transformed into mobile payment users, it could move the industry forward rapidly. Officials at Apple and MasterCard have declined to comment when reached out to by Bloomberg, whilst Visa and American Express have not immediately responded to requests seeking comment.